NOTE: THIS IS A 'SOFTER' VERSION OF THE LOW-TOXIN DIET - AND GIVES GREAT RESULTS QUICKLY. To start at an easier level and slower results - select Strategy D.
The simplest way to reduce food toxins in your diet - and start seeing improvements! What to buy and What Not to buy. > Plus! Member Support at your service - for any questions. > Even more Plus! Email ecourse: tips, Recipes and inspirational member stories. 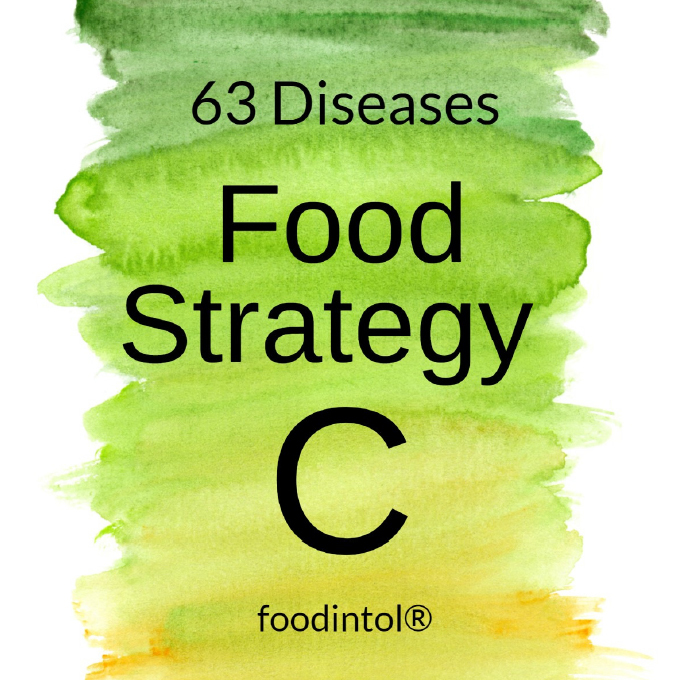 Be pleasantly surprised at the great range of foods choices in the low-toxin categories. Enjoy gorgeous foods and variety - whilst removing the food toxins that are linked to your disease! Do something for yourself - this is your whole new start. Begin with your dinner tonight!